The Museum of Navajo Art and Culture is located in historic downtown Farmington, along the newly dedicated New Mexico Arts and Cultural District. 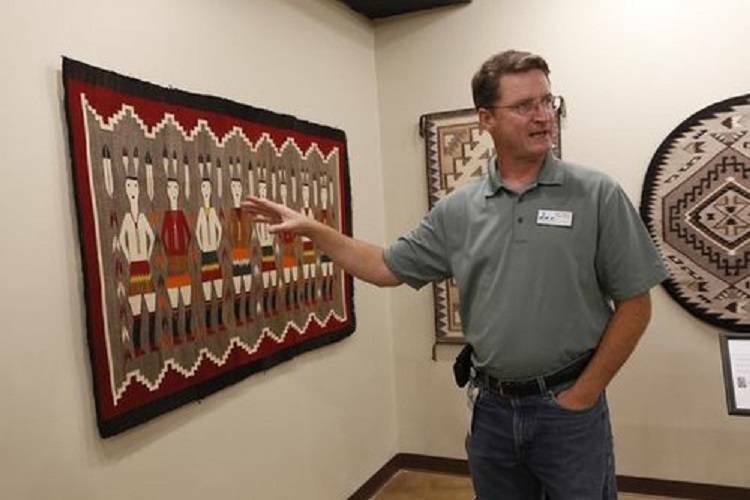 The museum will open with a truly significant collection of Navajo Rugs. The displayed collection will feature Navajo textiles from the early 1900's to today. Future plans for the museum include artisan workshops, educational programs and a resident artisan program. 301 West Main Street once served as the Foutz Indian Room. In 2013, Bob Culpepper donated the building to the City of Farmington. The City of Farmington has since renovated the building for use as a Navajo art and culture museum. Managed by the Farmington Museum, this new space will exhibit the artistic creations, historic and contemporary, of Navajo artisans. It will also offer educational programs to educate buyers on purchasing authentic Navajo art.